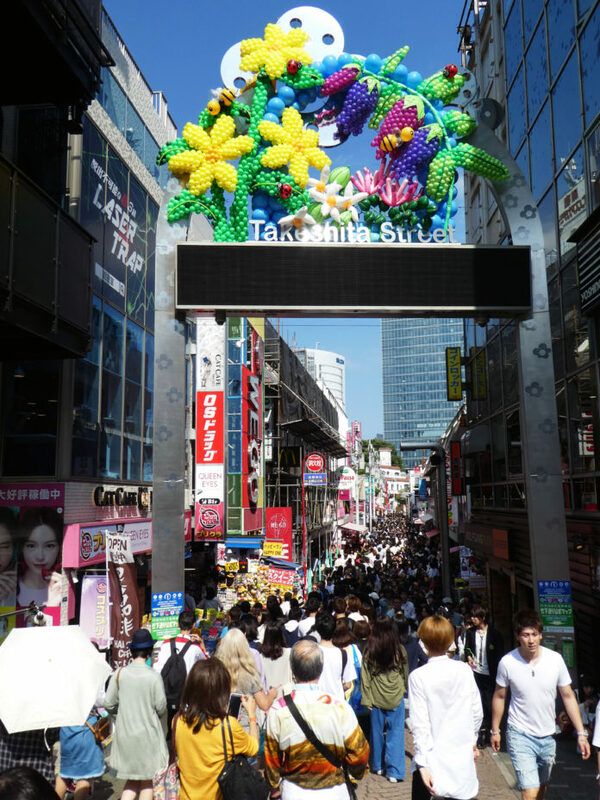 Takeshita Dori is one single, pedestrian, shop lined, street in the Harajuku District. It is bustling and full of people. The shops are eccentric and eclectic, and come in full variety of shapes and sizes. Located near Omotesando and the Meiji Shrine, you can spend a full day here exploring to your heart’s content with lots of shops your kids will love to explore and find treasures. Our visit to Takeshita fell on the weekend, so it was a little busier than expected. Actually, it was insanely packed with people. It was incredible to see the procession of unending bodies pouring into the street from the Harajuku JR train station. We spent the day meandering about and walking in and out of stores, finding treasures, and taking in the culture and ambiance. If you are looking for a unique, yet not obscure, shopping experience in Tokyo – this is it. It is definitely something you don’t want to miss, if for nothing else than the uniqueness aspect. 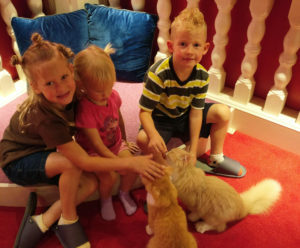 The first place we stumbled upon was a child friendly cat café! Cat Café MoCHA was a super fun, and wonderfully convenient, cat café at the entrance to Takeshita Dori. Check out our full review! The Disney store in this location was definitely catered to an adult Disney fan crowd. The merchandise here was higher end in both price point and category. The displays were picture perfect, with beautiful theming and neutral color tones. This was not a Disney store for kids, and our kids were left a little befuddled. One thing that we’d been keeping an eye out for was an inexpensive medium piece of luggage to take back home with us. We’d purchased a lot of extra candies and fun items, plus gifts for friends and family back home and we didn’t have enough space to pack it all away. There were several luggage vendors, but one in particular had a nice looking roller bag that was very reasonably priced, and it was on sale! Just as we were about to make the purchase, a customer returned who had just purchased the same exact piece of luggage. It was already broken! She had made it a few blocks towards her car when a couple of the wheels fell off. Yes, not just one wheel broke. Needless to say, we didn’t buy any luggage at Takeshita Dori. Claire’s in Harajuku wasn’t much different than in the states. They offered lots of sale merchandise and adorable sets of earrings and bows, but they also had a lot of unique Japanese styles I’ve never seen in another store, like eggs and fork earrings. Socks, leggings, tights, they are all huge in Japan, so we definitely wanted to participate in this culture fad. 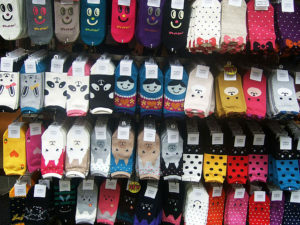 Socks are abundant on Takeshita Dori, and for cheap. $2 a pair was average and with a huge variety including Flintstones, candy bars, fruit, paw prints, and much more. Both me and the girls chose several of our favorite patterns. One thing Takeshita Dori is known for is it’s crepés. They are mammoth sized formed into a funnel shape and filled with any number of goodies from sweet to savory. They run about $7USD per crepé, but they are filling and delicious! Our last great find on Takeshita Dori was the largest Daiso store in Tokyo. Daiso is a 100 yen store, the Japanese version of the Dollar Store. We are suckers for a great deal, and this place is full of them. The major difference between the Dollar Store and the Daiso is quality. 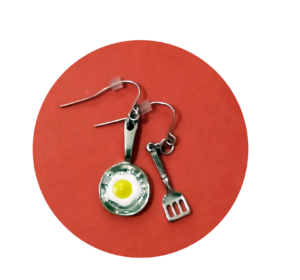 The Daiso had vast options of quality merchandise from stainless steel children’s utensils and children’s gardening gloves to tiny toothpicks that read ‘eat me’ for summer picnics. They even had speciality Japanese doo dads, like booties for your kitchen chair legs. This place had everything you could ever want and then some. We spent a long time in this store and walked down every single aisle. Once we finished at Takeshita we attempted to locate the Meiji Shrine and take a look around, but Google maps did not direct us to the right place. We had a hard time finding any identifying markers which made us believe we weren’t looking in the right direction. Though that was a huge bummer, but we were also on the tail end of our trip and exhausted, so we didn’t lose too many tears over it. ► For Kids: Busy and crowded, but lots of knick knacks for them to touch and feel and admire. Cheap stores so you don’t break the bank on souvenirs and take home treasures. We wrapped up the day at Kiddyland. 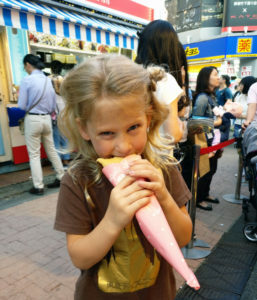 Take a peek at what we found, and our opinion of the Japanese toy store wonderland. Check out our additional posts on Tokyo, Kyoto, Hiroshima, Disney Sea and more! ► Nap-Time Version: Busy pedestrian shopping area in the Harajuku district of Tokyo. Lots of fun treasures to be found, and great people watching. 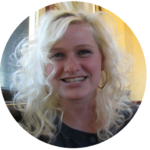 We’d love to hear about your experience on Takeshita Dori! What great finds did you come home with?